The Germany international made a string of saves against Manchester City in the recent Premier League game but that was not sufficient as the club eventually suffered a 3-1 defeat. 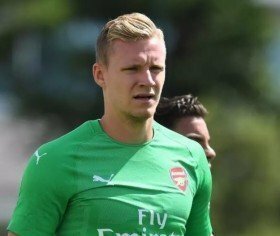 Speaking after the match, Leno highlighted that the club are still with a good opportunity of finishing in the Champions League positions, though they require to improve on their showing on the road. "I think we are still in a good position to go to the top four. We still have big games and I think we need more away wins, because at home we play very good," he is quoted as saying by Metro. Arsenal are currently on a six-match winless run away from home and this has witnessed them secure just two points. They are currently on a three-man losing streak on the road.